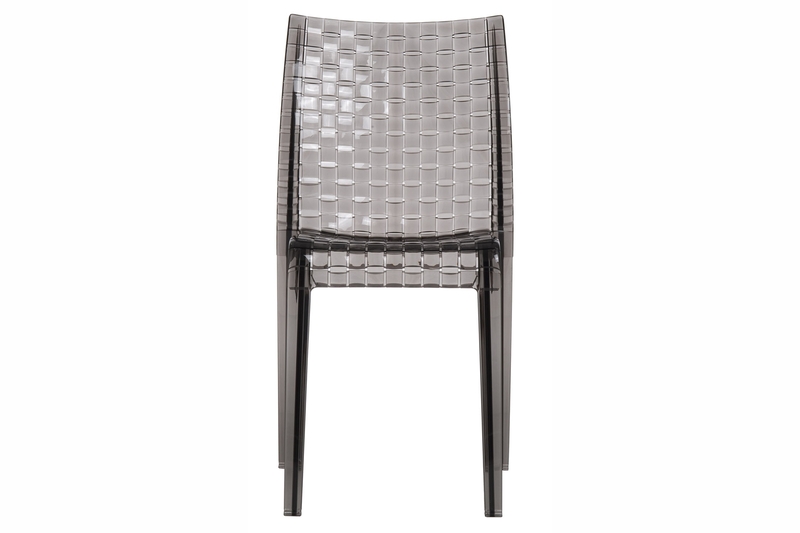 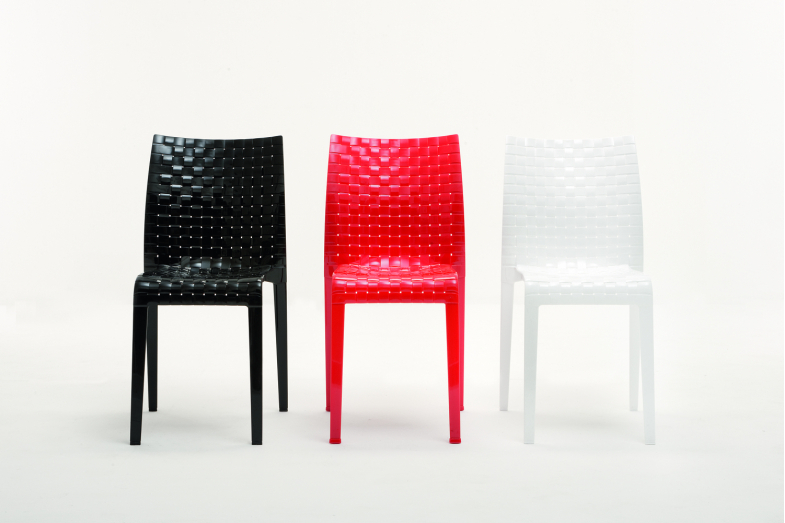 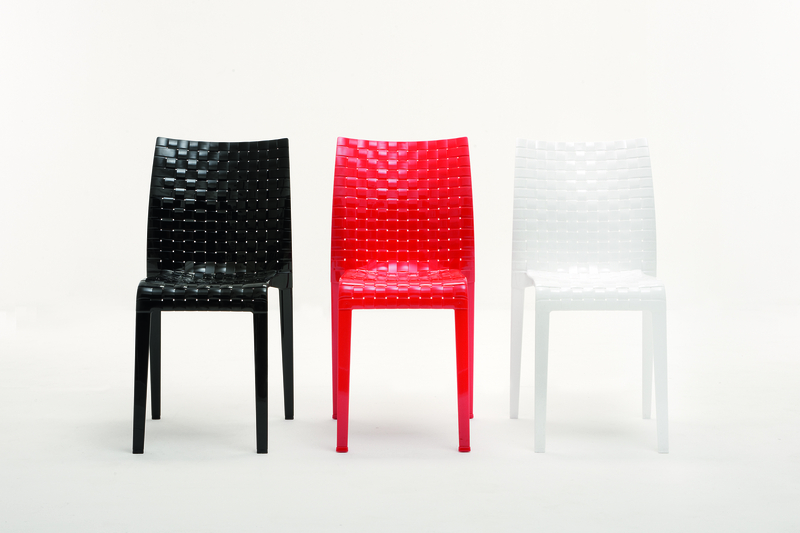 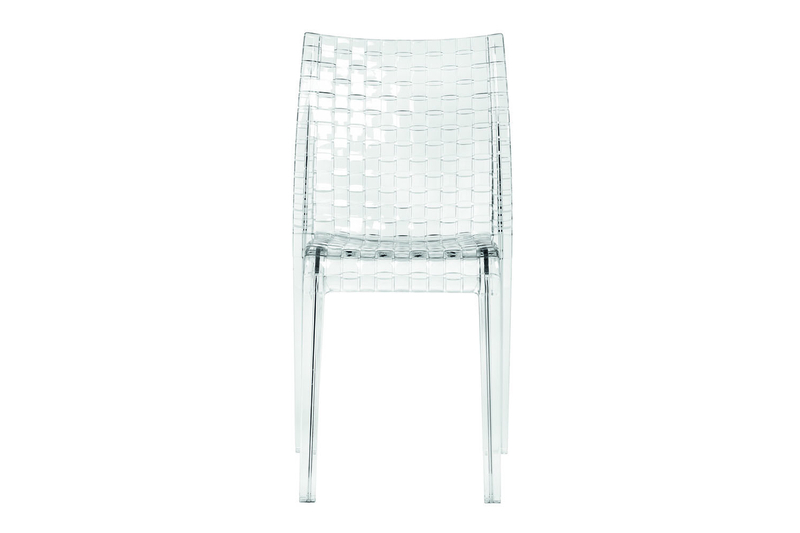 Inspired by the play between the warp and the weft in cloth, the Ami Ami chair was born of the desire of the designer, Tokujin Yoshioka, to reproduce one of the stylistic icons typical of his country - weaving. Ami Ami in Japanese literally means "to weave". 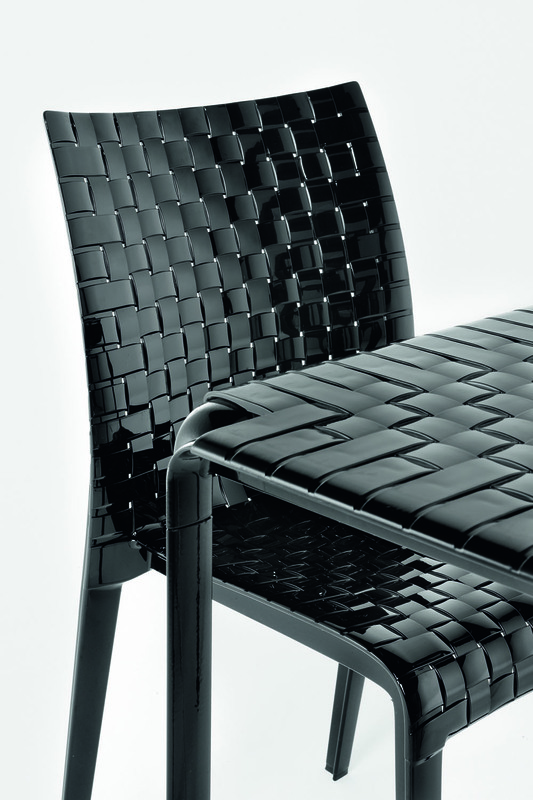 The simple squared off lines contrast with the richness of the weaving, and this is achieved on the inner and outer surfaces through a complex industrial process which recreates the motif using a single mould. 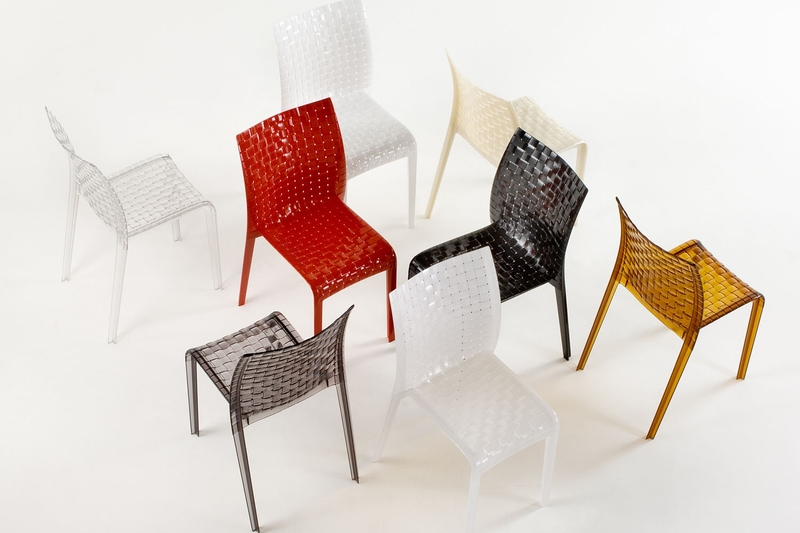 Ami Ami brings together the appeal of oriental culture and the use of innovative materials like polycarbonate, and is available in two transparent versions, and three matte version.